2008-07-20 18:57 UTC Click images for enlargements. 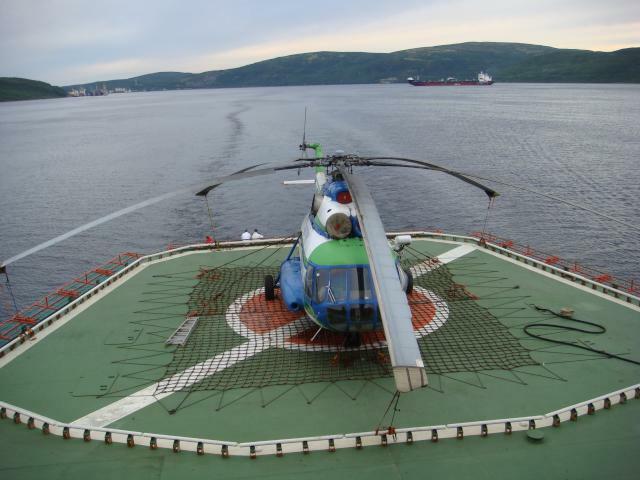 Looking back toward Murmansk, as we continue up the channel, over the helicopter deck. The helicopter is an Mi-8. 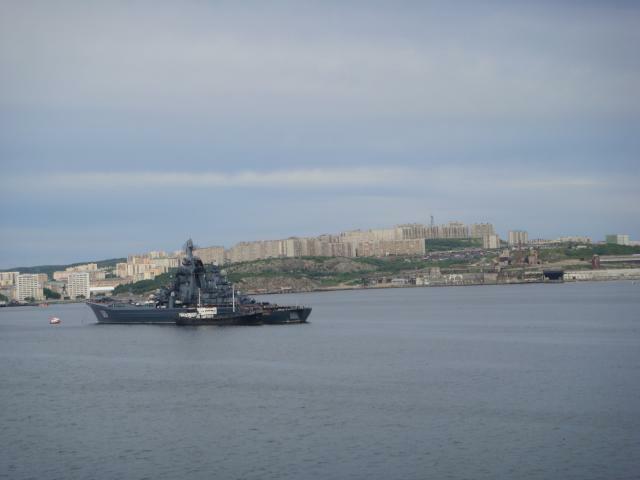 Further up the channel is the Severomorsk Russian naval base, administrative headquarters of the Russian Northern Fleet, with the customary agglomeration of massive Soviet apartment blocks. 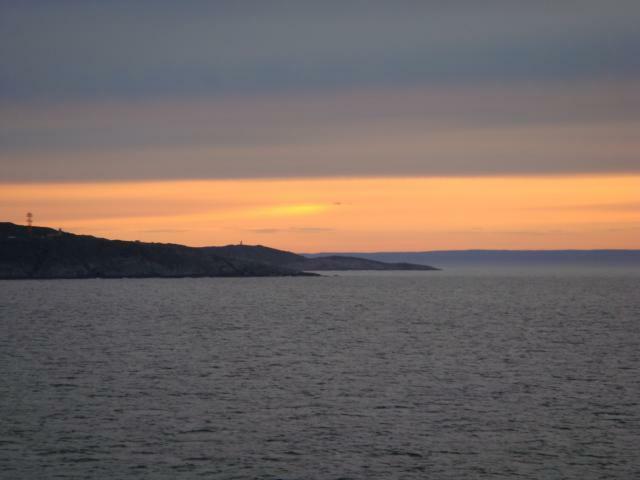 Open sea visible at last! 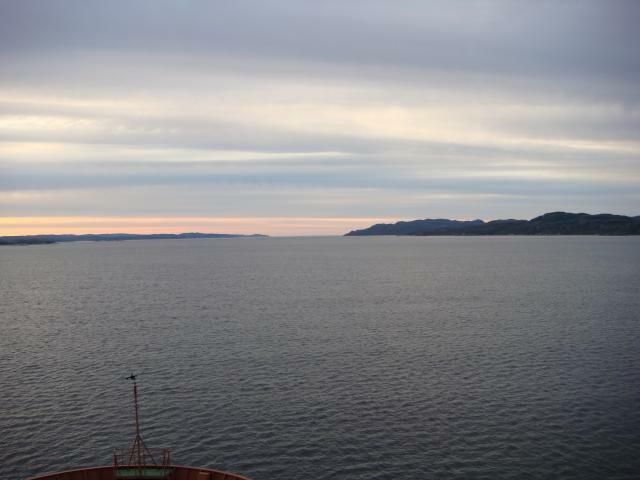 As we pass into the Barents Sea, this is the last land we'll see before arriving at Franz Josef Land.